Keep, share, and manage your files in Salesforce within the Content Libraries. Content Libraries is a universal folder for all kinds of your files such as pdf docs, excel sheets, videos, images etc. You can create up to 2,000 libraries based on any classification. You can also decide who has access to files in each library and what permissions they have. Simply add individual users or public groups to your libraries and assign different permissions for them. You can create new permissions and choose what a user with a certain permission is available to do. Now you can also add Libraries to your Community. Create a new Standard page and simply drag and drop “Libraries” or “Files list” component. “Libraries”, which provide access using more structured folder view. 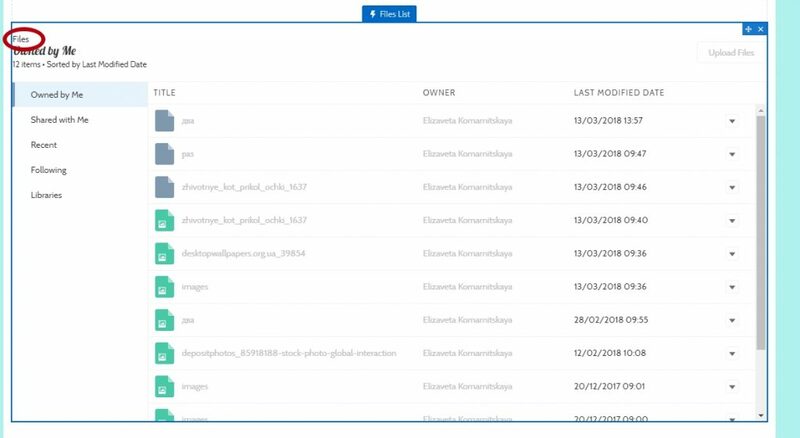 “Files list”, which provide view of all the files that the user has access to.